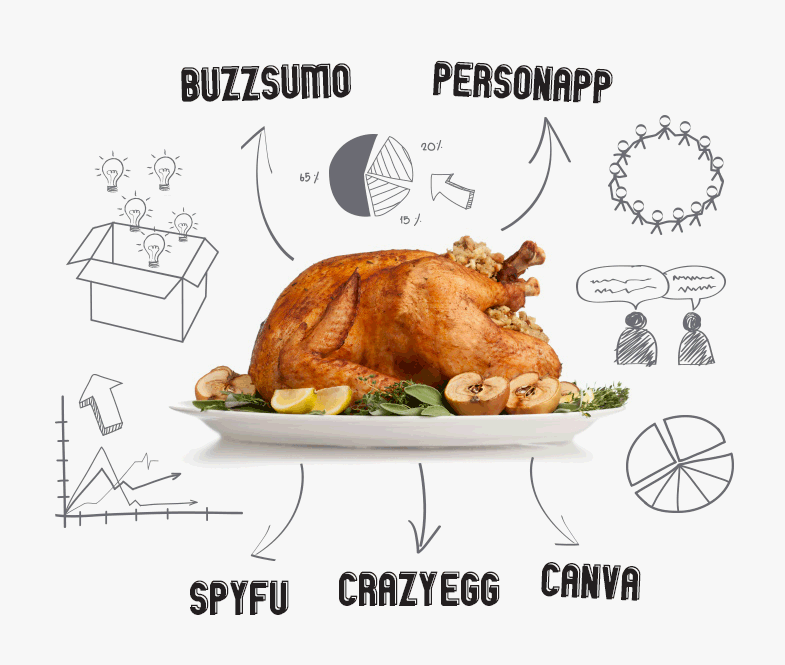 In the spirit of Thanksgiving and because we are grateful that you are part of our community, we want to share a list of marketing tools our team is most thankful for this year. Try them out – they are almost guaranteed to turn you into the marketing superhero you were born to be and, more importantly, make your life a lot easier. Who wouldn’t be thankful for that? Canva makes creating images for blogs, social media and more a snap – whether using your branded graphics or Canva’s library. BuzzSumo puts the content that’s most relevant to your audience at your fingertips. Personapp provides a collaborative framework for “sketching” your buyer personas. CrazyEgg uses heat maps to tell you exactly where users click and scroll on your website. SpyFu lets you see what keywords are most profitable for your competitors in both paid and organic searches. What’s on your “cannot-live-without” marketing tools list? Please share!